Finally, iPhone gaming can feel like playing on a PS4 or Xbox One. 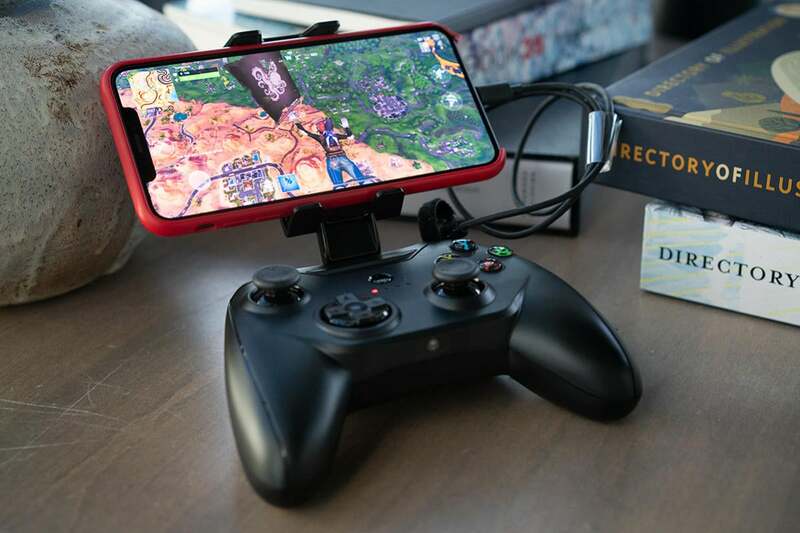 Game controllers have been a part of the extended iPhone experience for years, but Apple’s older certification requirements kept them from fully mimicking the same experience you get from an Xbox One controller or Sony DualShock 4. Even with the best ones, there’s usually a catch. Sometimes you need to mash the buttons before they register. In other cases the latency is awful (particularly when the controllers run on Bluetooth). Worst of all, you usually can’t press down on either of the controller’s thumbsticks, which effectively makes some games all but unplayable. That’s why I’m so happy to see the Rotor Riot Game Controller. 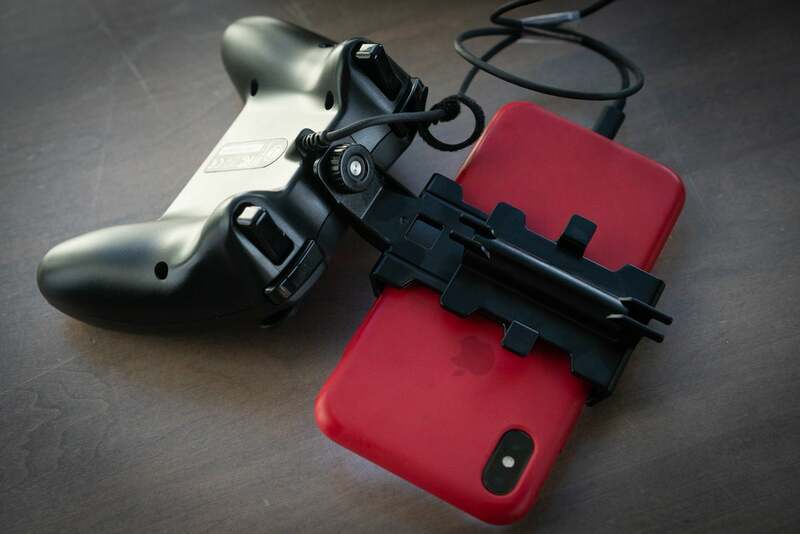 It’s the first MFi (Made for iPhone) controller that takes advantage of Apple’s looser restrictions that dropped with iOS 12. It has a handful of its own drawbacks, but it doesn’t fall into any of the traps mentioned above, and its new support for the thumbstick buttons makes it particularly well-suited PS4 Remote Play at a time when it's a fairly hot item on iOS. Considering gaming’s outsized presence on the App Store, I’m just a little surprised that a company that’s best known for making drone parts was the first one to pull it off. The Rotor Riot even gets the look and feel right. 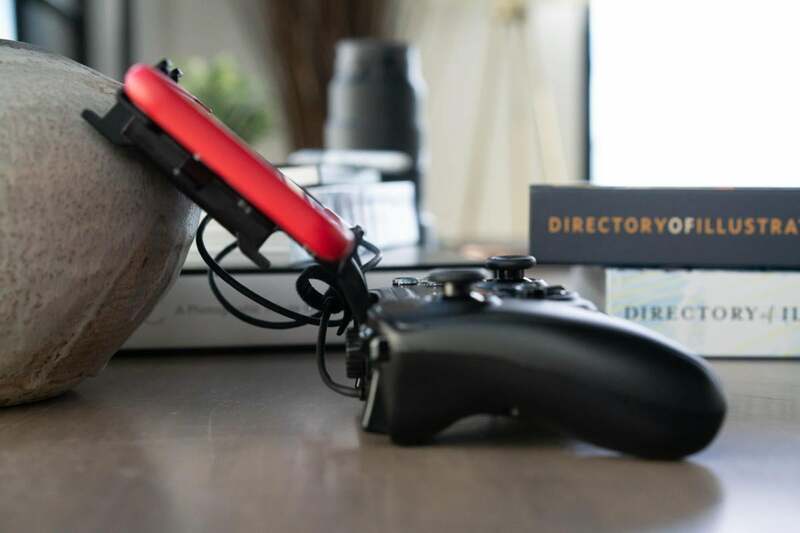 Toss it in a box with your other controllers, and you’ll likely accidentally pick it up when you mean to reach for your Xbox One controller. The thumbsticks are in the oddly satisfying staggered position you find on the Xbox controller as opposed to the side-by-side design of the Sony DualShock 4. It feels a little light when it's on its own compared to controllers that have batteries, but it feels just right when you’re holding it with the phone attached in its case. I'd worried I wouldn't like the disc-style D-pad as much as the cross on the SteelSeries Nimbus, but it usually did what I wanted. 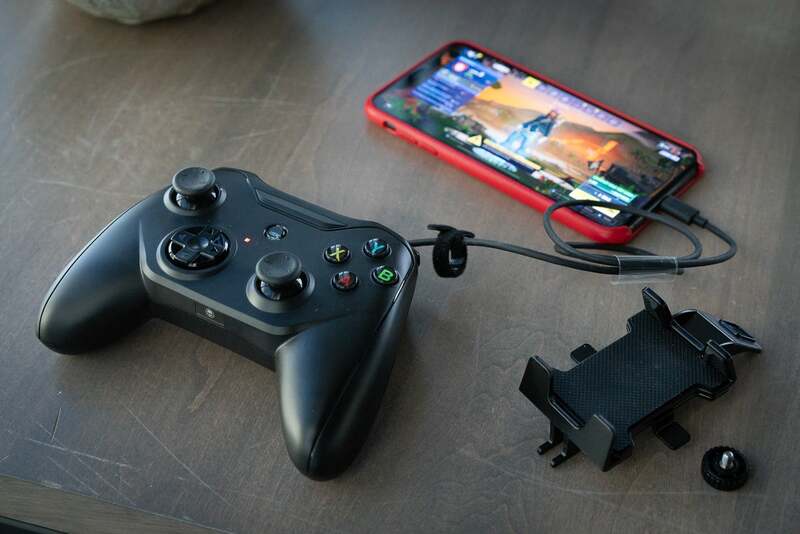 Indeed, you don’t even need to charge it as a 25-inch Lightning cable extends from the controller so it can plug directly into your iPhone, thereby giving you better latency than you’ll get with a controller that connects through Bluetooth. (Of course, this also means you can't charge the iPhone while you're playing a battery-battering game like Fortnite.) The cord is long enough that you can also hook it up to an iPad other than the UBC-C equipped 2018 iPad Pros, but I wouldn’t really recommend it. In heated moments, I’d be afraid it’d cause me to accidentally yank the entire tablet off the table and shatter my self-esteem, my display, and possibly my bank account all at once. The optional plastic phone holder keeps that from happening with your iPhone. I say “optional,” but it’s silly to play without it as it keeps your phone anchored to a convenient spot. Its extendable clamp is just big enough that it can hold my iPhone XS Max while it’s still in its silicone case, although I’m a little bummed that I can’t adjust the slightly steep angle. I’m also bummed that the phone holder adds an extra step when I want to use it on the road. The entire controller takes up a lot of room when I slip it in my bag with the holder still attached, so every time I go somewhere I find myself unscrewing it so I can pack the pieces separately. I’m almost certain this will lead me to lose the phone holder one day. Those concerns melt away once you see the Rotor Riot controller in action (and you’ll see that action soon, as it asks for permission to pair the very second you plug it in). Unlike some other controllers, every button here does exactly what I want to—and when I want it to. As far as iOS games go, this is true enough for everything from minimalist artsy adventures like Alto’s Odyssey (which really only uses one button) to complex, frantic multiplayer shooters like Fortnite. It boasts a familiar placement of buttons, and most importantly, it lets you press down on either of the two thumbsticks so you can use them as two additional buttons. These are typically known as true L3 and R3 buttons on console game controllers like the Sony DualShock 4, and no other MFi controllers currently support them because of Apple’s weirdly restrictive old certification rules. Even Fortnite, unfortunately, doesn't support them yet—although I'm hoping that Epic Games can fix that in an upcoming patch. You can’t adjust the angle, but fortunately it feels perfect for playing games in bed. For that matter, the Rotor Riot controller itself didn’t actually support the L3 and R3 buttons at launch, but that changed with a recent update. There’s a good chance you’ll have to install that update yourself, but fortunately it’s not hard; the update process begins the very second you first plug the Rotor Riot into your iPhone. First it asks for permission to pair. Then it asks for permission to download the affiliated Ludu Mapp app that lists compatible games. After that the Ludu Mapp app asks for permission to download the firmware. And that’s it. Boom. You don’t even need to restart the phone. After that, you can play God of War on the PlayStation 4 through PS4 Remote Play better than than any other MFi controller at the moment. The secret sauce is all in those thumbsticks. Press the left one, and God of War’s protagonist Kratos starts sprinting. Press on the right, and the mad Spartan locks on to an enemy. It sounds so simple—so necessary—but other MFi controllers were forced to scrap this functionality for years. In fact, if you watch me trying to play God of War with Remote Play with the Gamevice in a recent how-to video, you can see Kratos flailing about at a lethargic pace because the Gamevice can’t let me use two of the most important buttons in the game. There’s no way I would play the entire game like that. In case I wasn’t clear, being able to use this without taking off my case is a really big deal. Mind you, the Rotor Riot controller doesn’t provide corresponding buttons for every button on a DualShock 4, but fortunately the Remote Play app itself makes up for that. Along the bottom of the app’s display, you’ll see a digital bar that delivers access to the Options, Share, and PlayStation buttons and I’ve rarely felt a pressing need to have them on the controller with this setup. The one exception would be the Options button, but fortunately the big central button on the Rotor Riot automatically remaps to that. Short of playing with a DualShock 4—which is impossible on an iPhone, if you’re wondering—it’s as close to a seamless experience as you’re going to get. 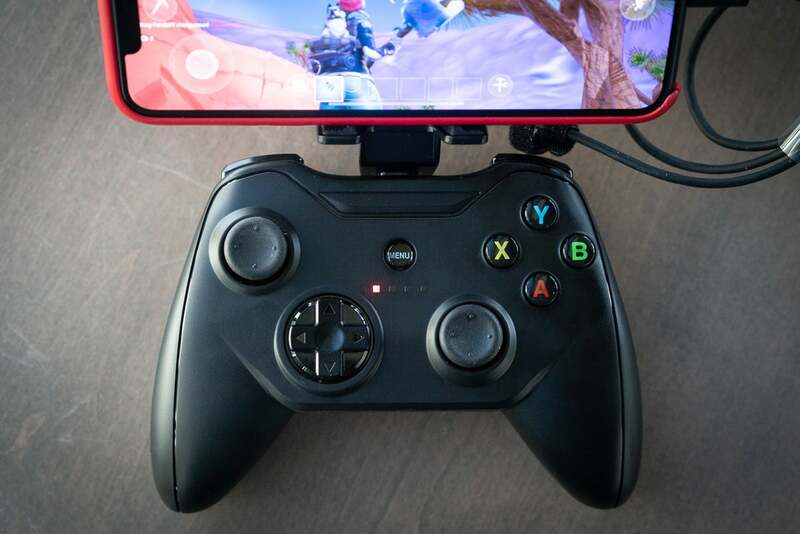 Not every game currently supports the L3 and R3 buttons on the Rotor Riot controller—including Fortnite—but the design of the gamepad is such that functionality could be unlocked with a patch. Right now, though, it's the only MFi controller that supports them. With PS4 Remote Play, it lets me play everything from God of War to Persona 5 as easily as I might play it on an actual PlayStation 4 (so long as my internet is up to the task). Until its competitors catch up, this is the controller I’ll be reaching for.